As the Minister for Community Services and Facilities, I have started work across Government for a future community centre in Woden. As Woden is the only part of Canberra that doesn’t yet have dedicated community centre, a new centre has the opportunity to provide a modern space for events, the arts, meetings and other community activities. A future facility would also house the Woden Community Service who are currently spread across Woden, and who do a fantastic job in supporting vulnerable people in our community. I look forward to updating you on this project and as we consult with the community. This project is a priority for me and will help to support further regeneration of the town centre and to meet the needs of the growing Woden community. 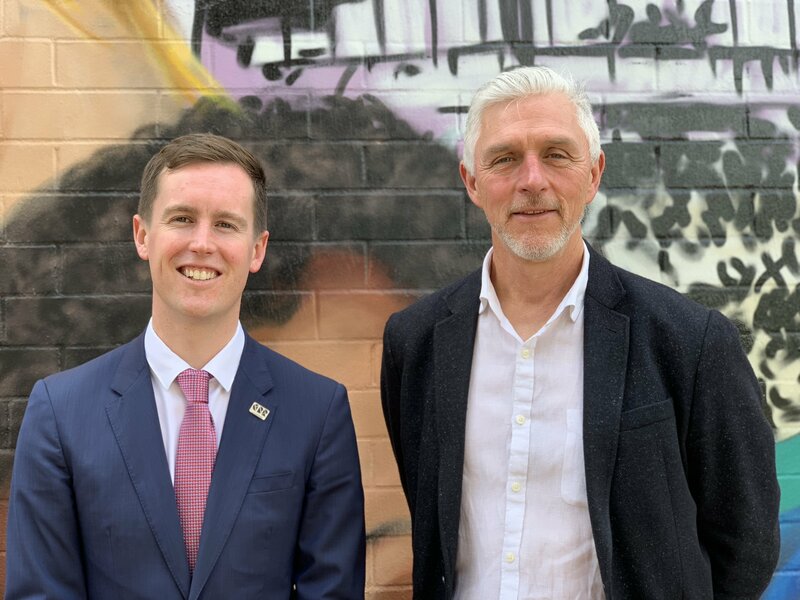 Chris Steel MLA and Chris Redmond, CEO of Woden Community Service. I have released concept plans for the ACT Government's transformation of Woden Town Square - the #WodenExperiment. The #WodenExperiment is a six-month activation will bring community-driven installations and performances to Woden Town Square. 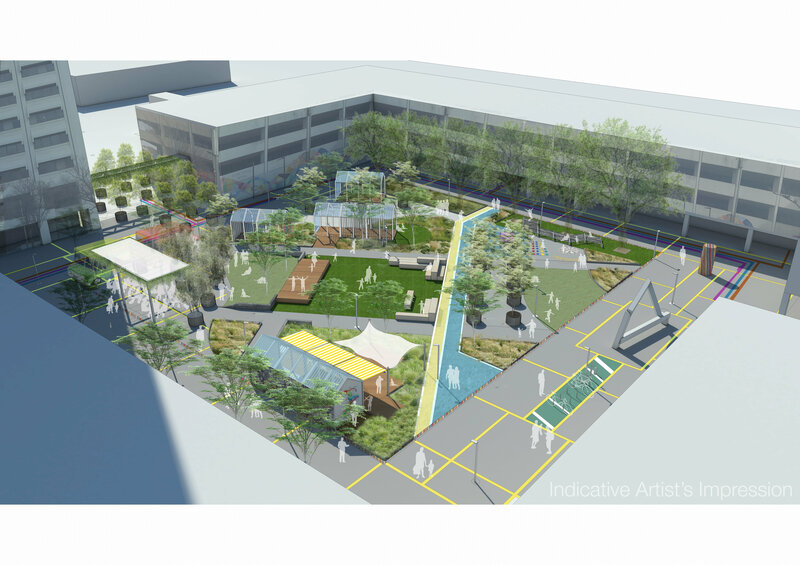 The concept plan includes five hubs of activity, each with their own focus, including a work hub, green dining space, community square, social lounge and timeout space. Key features of these hubs include a stage for community performances, outdoor offices, smart benches with phone and laptop charging, flexible table settings next to areas set aside for pop up food and drink vendors, turf areas with sun loungers and an outdoor table tennis facility for a bit of fun. The installation responds to feedback from the community to improve the vibe of the Square, and create attractions of interest, shelter from the elements and provide places to eat. The #WodenExperiment will start from February 2019, and I look forward to seeing you there enjoying our public space. An impression of the #WodenExperiment transforming Woden Town Square. Another huge step in Woden’s regeneration is the redevelopment of the Alexander and Albemarle buildings by their private owners, DOMA Group. Formal plans have now been notified for community comment. The $50 million project will see the old buildings, left empty by the Federal Government, re purposed into residential and commercial use. View and/or comment on the plans here. An artists impression of the re-purposed Alexander and Albemarle buildings. 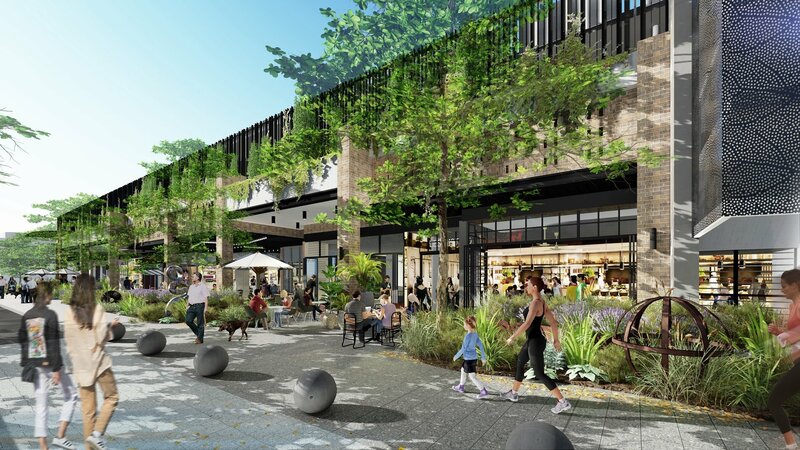 The owners of Westfield Woden have recently begun construction to transform Bradley Street in Woden into a new dining precinct. 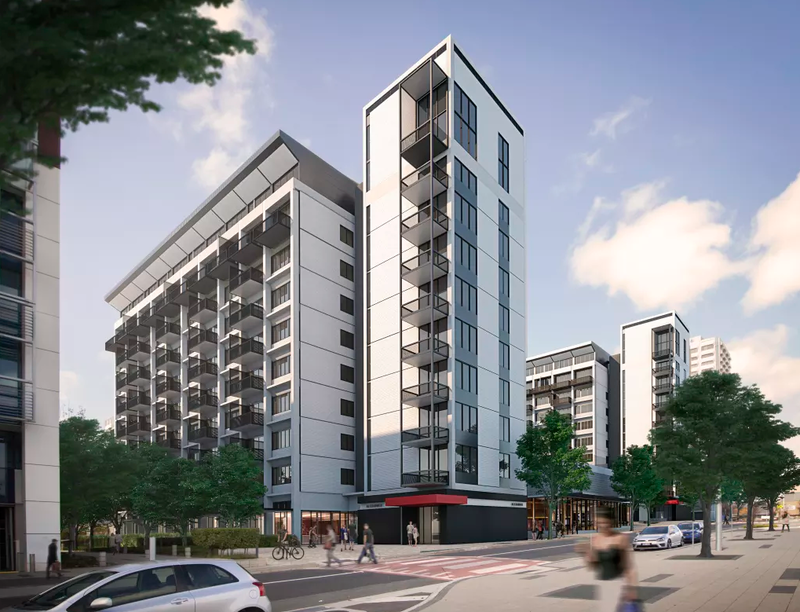 This $21 million project will see the ground floor of the current multi-storey car park facing the Hoyts cinema turned into a strip of coffee shops and restaurants helping to attract people into Woden Town Centre. An artists impression of the Bradley St dining precinct which is now under construction. As the regeneration of Woden continues, I will update you on our work to make Woden an even better place to live. If there are any ACT Government matters you would like to raise with me, please do not hesitate to get in contact. P.S My previous updates on Woden including our transformative light rail and Woden interchange renewal projects are available here.